There is a frustrating (yet, quite obvious) reality associated with social media: Being seen and building presence takes a lot of time and effort. Your best bet is to attempt to be more productive with the time that you actually spend on the process. Here are nine ways that will make you a more productive social media marketer which will in turn allow you to achieve more. Not every brand is going to grow the same way on social media. Even the big names are looking for a different route to the same goal, and using their unique images to foster that result. For example, brands like Taco Bell and Old Spice use humor to brand themselves on social media while brands like American Airlines try to be personally engaging with current customers. What do you hope to achieve with your branding? Are you just trying to up visibility? Establishing your tone and knowing what your aim will be, whether it is increasing traffic to a site, or getting in touch with people interested in your brand, is a crucial part of success. It also saves you time and energy, because you aren’t floundering in an attempt to decide what to do. 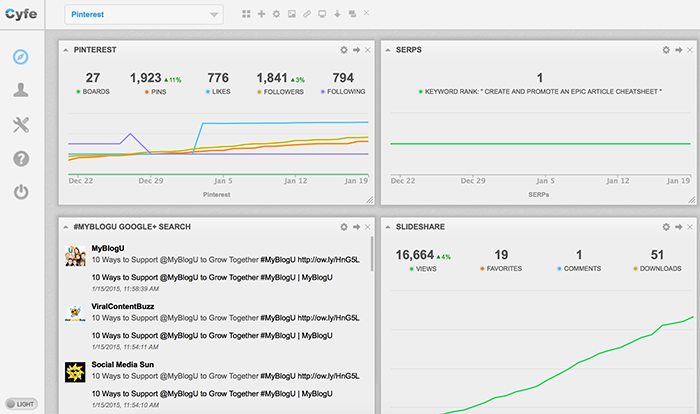 Hootsuite – Still the best multiple platform social media dashboard around, Hootsuite has been making the rounds for years and just getting better. It is also a very affordable option, considering the number of features you get. You will be tempted to skip out on your social media on some days, but don’t do it. You don’t have to be on there every day, but you should aim for at least five days a week. Set a certain number of hours every day you will work on things, but make sure those are the best hours possible for your efforts. That will take some investigative work for Facebook and Google+, as well as your other platforms. You can usually find that information in analytical reports from dashboards you choose to use. For Twitter, you can use a tool like Tweriod that calculates the best times of day for your posts. Too many people use their social profiles as a way to share links, and nothing more. You’ve seen the type, constantly linking to posts on their blog and otherwise they never comment. You just know they are auto-posting, and rarely check the actual profile for engagement. It is disheartening, and counterproductive. Social media is not a link aggregation tool. It is an engagement tool. It is there for connecting on a (shocking!) social level. Make your interactions count by being personally interactive with your viewer base. Go looking for people to speak to based on keywords, talk to those who comment on your profiles, ask questions, etc. Gary Dek of startablog123.com did an awesome article on social media interactions and content engagement how you should take a different approach depending on the social media network you are preparing your message for. If you post two hours on Monday, half an hour on Thursday, and then nothing again for a week, guess what? You won’t get anywhere! 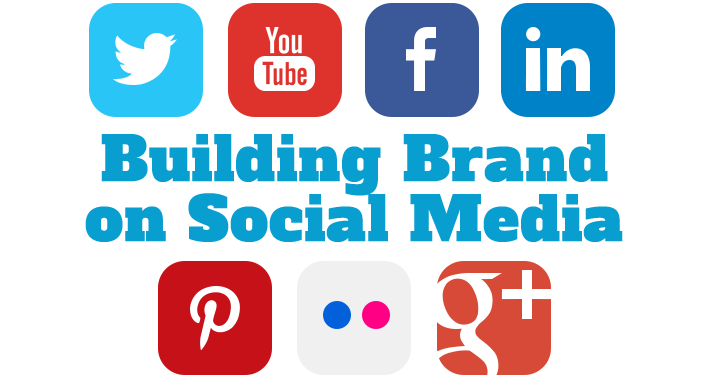 Social media branding requires consistent efforts that go from day to day with the same level of zest. Yes, this process can be a little frustrating. But that is just a part of the whole process, and eventually it will pay off. It is like writing for a blog. Does that traffic come immediately? No! But if you don’t keep writing, you will never be seen. You should be posting every kind of content on your social profiles. Text posts, videos, photos, infographics, podcasts, even if they are not your own. This multi-media approach will catch a wider audience, while keeping you from falling into a rut. There are some hashtags that are really popular and long lasting. Narrow those down, and start checking them every day. 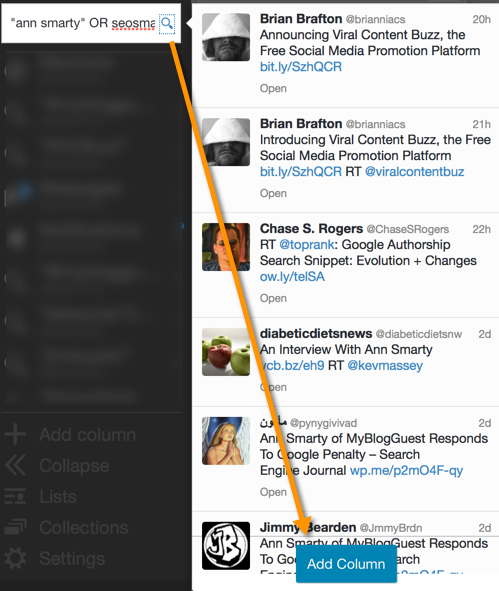 I use Tweetdeck to watch my brand-related hashtags. This is a quick way to connect with your audience, and find really good material to comment on, repost, or favorite/like. You should also keep an eye out for hashtags that are trending, to exploit. Just be careful about how you do it. You don’t want a situation like DiGiorno, when they misused the #WhyIStayed hashtag, one promoting awareness of domestic abuse. Though, to their credit, they handled the fallout beautifully. Auto linking used to be a really handy tool. Now, it is just lazy. The worst thing you can do lately is post a headline on a site like Twitter or avoid tagging mentioned experts on your Google Plus update. People expect you to provide some kind of comment or context with links. Manually share your links with a teaser about what will be found, a quote from within, or something that will really catch their attention. Your click through rate will improve almost immediately. Do you have any tips to share? Let us know in the comments!